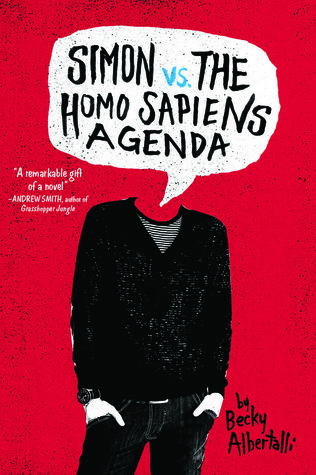 I am so in love with Simon Vs. The Homo Sapiens Agenda that I don't even mind that it made me cry about five times on a flight. It had been lingering on my Kindle for awhile, so I am thrilled that I chose it to accompany me from Reykjavik to Milan (you know I had to throw that in). It is an utterly charming and wonderful novel. Simon's email correspondence with "Blue" has slowly become the most important thing in his life. Even though he doesn't know Blue's identity, Simon shares with him the most intimate details of his life--most importantly, that he's gay. When a classmate decided to blackmail him with this information, it sets off a serious of events that leads to growth for everyone involved. There is a lot of discussion about the coming out process and how it should done when and how the individual chooses. I think it's really important for all readers to get insight into how this can look and feel. I loved how fierce Simon's allies were and his wonderful voice. 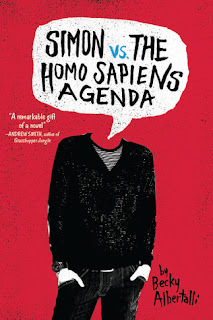 Becky Albertalli is an awesome writer who made me fall in love with multiple characters. I am eager to read more of her work.